I love dishes that you can add anything to and it seems to work. This dish does that for me. It is easy to prepare and makes a delightful meal. Not too heavy and not too many calories. I found this recipe in Family Circle a few years back. I have made many modifications to it. Here is my latest version. I think that was what my cat - Claire was saying. 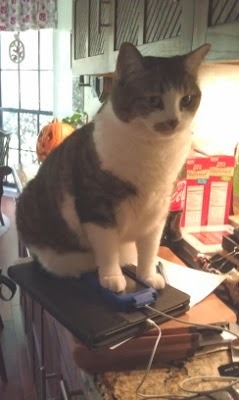 My husband and I were in the kitchen cooking yesterday, when Claire jumped up on the counter. My husband keeps his phone, iPad, keys and other goodies on the corner. Get stubborn stains out of your linens! Did you ever pass up a lovely linen because it had a stain on it? Or maybe your linens are in good shape except for one or two stains. If you need to get rid of a stain, then this remedy might be the answer. I say, "might" since some stains are just NOT meant to come out. Here is a tablecloth I bought for 50 cents since it had a couple of stains. So what does cucumbers and pickles have to do with pumpkins? Nothing really, but when you have a farm, it just might be related. At least that is the case with the Long and Scott Farm in Zellwood, Florida. 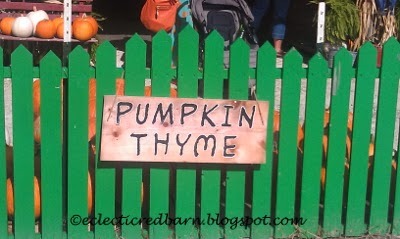 We went there to get fresh corn and some pumpkins. Loved this sign that greets you. 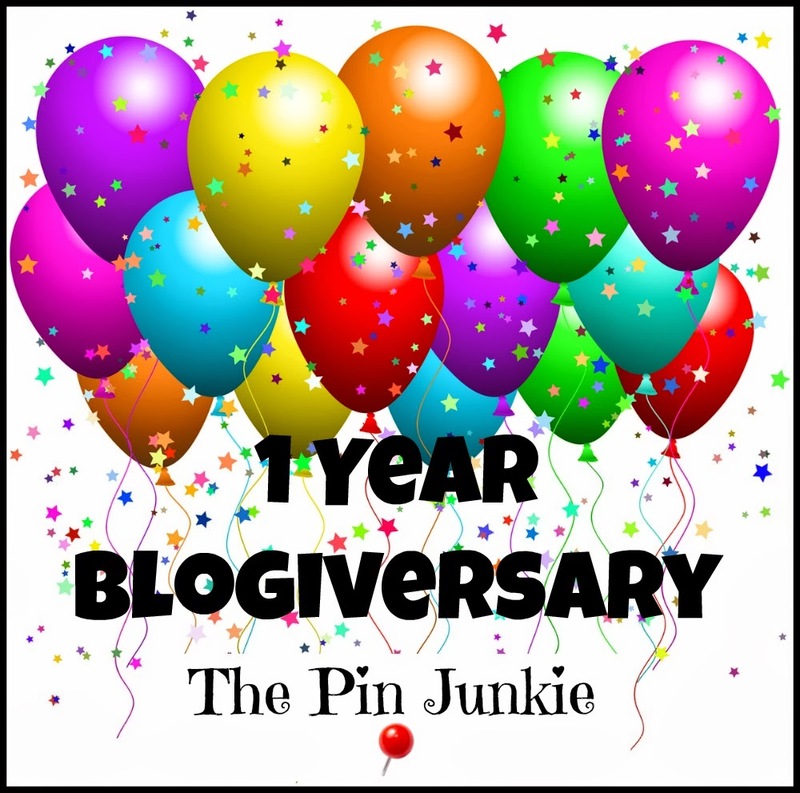 Bonnie @ The Pin Junkie is celebrating her one year anniversary? The Pin Junkie is all about the crafts, recipes, and home improvement projects that she does that are inspired by Pinterest. This special party will include 21 co-hosts, including yours truly, to help her celebrate. That means that your post will appear on 22 different blogs . How great is that! I know that officially fall started in September. However, since it was so warm here in Florida, it just didn't feel like fall to me. So I am ringing in fall in October. My husband collects bells and the large school house bell in the middle was the one my mother rang when she was a child in a one room school house. As the American Pickers would say, it is the story behind the piece that makes it special. How we obtained it, is quite the story. Need a moist and delicious coffee cake, then you should consider this sour cream coffee cake. I needed to send some good to my husband's office and I picked this. It was a hit, they loved it. I usually find my sea shells at the beach like everyone else, right? However, do you have any idea where this one is? Stumped? Well, it certainly surprised me. It is hanging, but where?